. 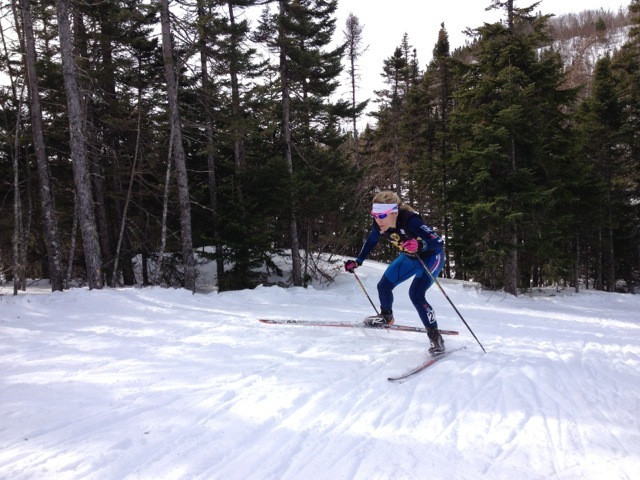 : Nationals 2014: Race #3, Sprints!! :: Ski XCOttawa.ca :: Skiing in Ottawa and Gatineau Park :. Nationals 2014: Race #3, Sprints!! 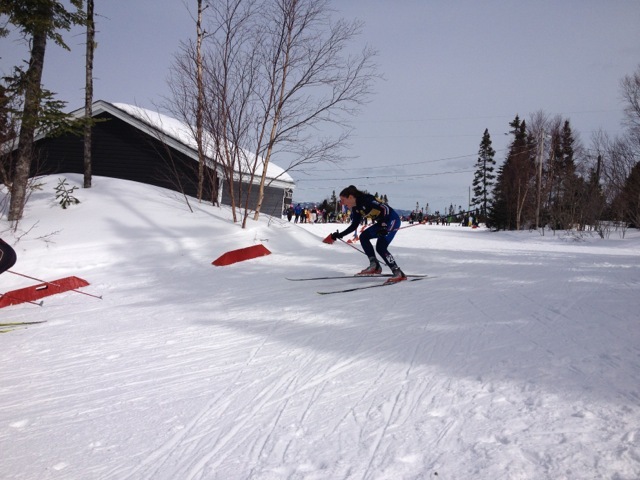 The racing continued today at Blow Me Down trails, in Cornerbrook, NFLD. 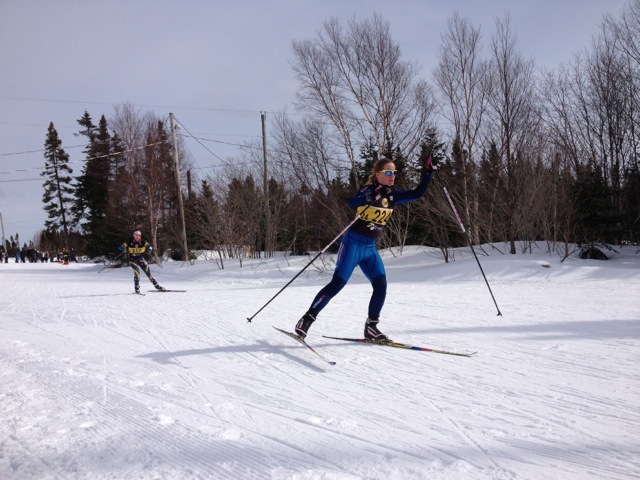 Today was the sprint event, with the women racing a 1.4 km course, and the men doing a slightly longer 1.6 km race. This event started with a qualifying round, in which racers race the course individually to establish their ranking for the heats later in the day. The top 30 move on to the elimination rounds later in the day. In the women's qualifying round, four athletes moved on to the heats, with Sheila (21st), Ingrid (24th), Kyla (26th) and Holly (27th). Katie and Liza missed out qualifying by only a couple spots. The men were a bit more unlucky, albeit in a larger field, with Steffan in 36th, Andre in 38th and Riel in 43rd. In the heats Holly Jones managed to advance her position to 20th, Sheila stayed in 21st, and Ingrid and Kyla both moved to 23rd and 28th, respectively. The wax of the day was vauhti HF purple, with a HFC 15 puck cover a HFC 15 liquid top cover. 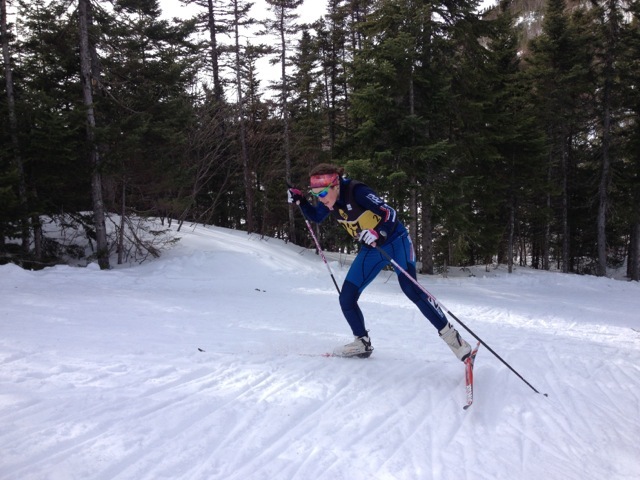 The skis were fast! The last race of Nationals will take place this Saturday with the long distance races – 50 km for the men, and 30 km for the women! Sheila Kealey, in her quarter final heat. Holly Jones, fighting for a 4th place finish in her 6-man heat. Ingrid, chasing down Holly, and currently in 5th. Kyla turning into the final corner in her quarter-final. 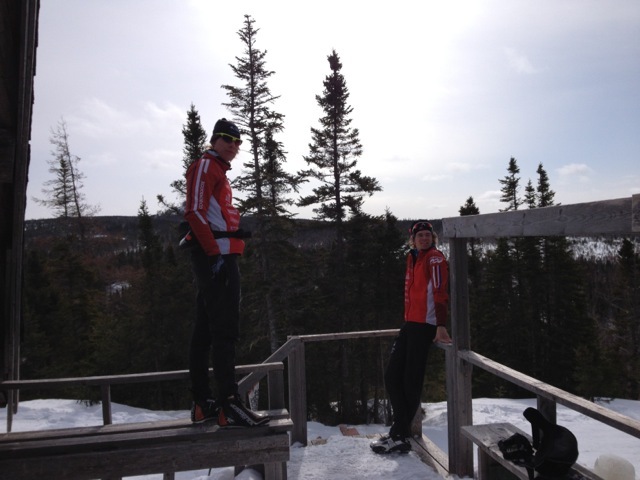 Steffan and Andre getting over not qualifying by going for a long ski through the trails of Blow Me Down. Race Report: Another Solid Day for XC Ottawa in Canmore! !